A storage solution is one of the most demanded facilities in today’s world. With lots and lots of things building up, the need for a proper storage solution has been on an increasing demand. Talking about storage lockers, the market has an extensive range of options to be explored. You will find variety in color, shape, size, material, texture and many such elements. Of all these, today, let me introduce you to one of the most demanded storage solutions – a metal locker. The prominence of metal lockers have been since time immemorial. You will find a considerable amount of response for metal lockers in the UK and many other parts of the world. Its popularity indeed becomes one of the most trending concepts in the world of storage solutions. Below mentioned is a list of uses that a metal storage locker is known for. Read on to find out. A metal storage locker proves to be one of the best places where students can store all their belongings. From books to stationery items – all important things find a place of their own in this type of storage abode. This could be one of the best options to consider when you want to provide a durable storage place to the students. Nowadays, you will come across metal lockers that are anti-graffiti and scratch-resistant, proving to be the perfect storage option for rough and tough usage. This type of locker is most commonly seen in the school premises for providing a space to store books and various stationery items. This type of storage solution could be very well used for storing all the important files and folders. Strength and durability are the two most prominent factors that have gained all the popularity and attention for this type of storage solution. You can be at peace as this type of storage assures full safety and security of these important documents. The strong lock system considerably adds to the safety features. Be it in a corporate office or the industrial area or a residential area, a metal locker very effectively takes care of the important documents and files. A metal storage locker is generously used to teach some of the important life skills such as time management, responsibility, accountability and much more. These qualities become extremely essential to be taught to young minds who are still in their growing years. The presence of this storage solution in the educational institutes is mandatory to teach these important life lessons. Apart from educational institutes, corporate organizations and industrial units too benefit from this storage solution as they get to instill these important life skills among their employees and workers. This type of storage solution is generously used to store the safety equipment that the workers would be required to wear while carrying out their activities. These safety equipment ensure that they are safe and kept away from all harm and danger. A strong storage option is a must to look after the personal protective equipment. Electronic devices such as cell phones and laptops too can be effectively stored in this type of storage solution. Strength and durability are the two most prominent qualities that ensures safety to these electronic devices. Nowadays you would also come across storage solutions that have an inbuilt charging facility. This makes it easy to store electronic devices even when they are in the charging mode. A metal storage locker could also be used to provide a safe and secure place for garments. Whether it is dirty clothes or clean clothes, you can safely store them in this type of storage solution. 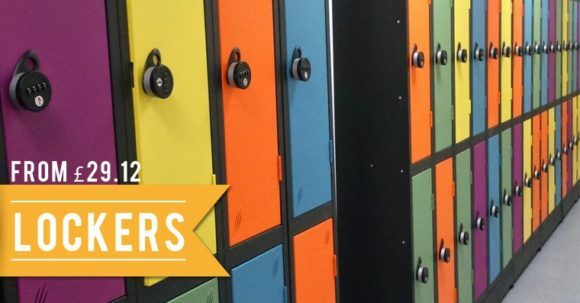 Moreover, as these lockers are smeared with Active Coat, you can prevent the spread of germs and bacteria. Having said this, a metal storage solution could be generously used to store clothes that could be kept safely from all types of threats such as : dust, extreme climates and even from being stolen. In addition to the storage facility, it generously helps in adding to the surrounding’s decor. Available in a wide range of color, shape and texture, it helps in adding to the surrounding’s decor. This storage solution dipped in a variety of colors and textures is used to enhance the beauty of the surrounding apart from providing a place for storage. Apart from the above-mentioned usage, a metal locker significantly helps in bringing about a sense of discipline and organization to the surroundings. As all things would be placed inside the storage solution you can be assured of a neat and clean surroundings. Moreover, this piece of furniture will also contribute to disciplining the human race to put all the things in its own place in order to bring in a sense of cleanliness. Above-mentioned are the different ways in which you can use a metal storage locker for your convenience. They are generously used to store things in a more systematic manner. You will find its existence in educational institutes, corporate and commercial places. The most common use of a metal locker is to store things. Apart from this, it is used in a number of ways to add to a human’s convenience. This entry was posted on Tuesday, July 31st, 2018 at 9:33 am	and is filed under metal lockers. You can follow any comments to this entry through the RSS 2.0 feed. You can leave a comment, or trackback from your own site.